Forming bonds with others in your professional network is an essential part of staying up to date with the latest and greatest. 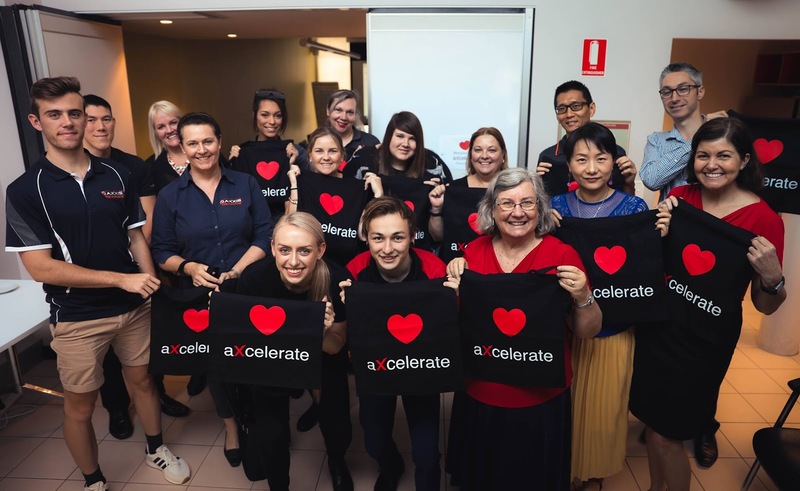 Although going out of your comfort zone to connect with new people might make you squeamish, the benefits of interacting with others in your industry are off the charts! By networking and connecting with those in your network, you are opening yourself to a larger opportunity to gain more and give more. Harness the power of the many to give advice and gain knowledge with other industry experts. Share your RTO wins to the community to help those lost and voice your struggles to come to a conclusion quicker through hearing other experiences. Not only can making deep connections and joining a community of those in the RTO industry help you with conflict resolution, but it also helps to expand your knowledge and point of view, opens you up to new opportunities as well as the potential of making some great new pals. Unleash the power of connectivity with these 4 handy resources. Whether you love or hate it, there’s no escaping social media. 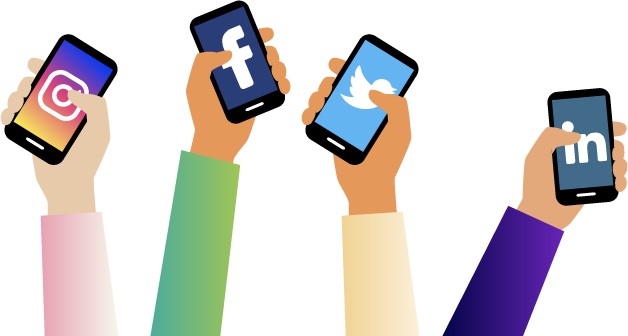 The VET Lifestyle Survey results highlighted the fact that VET loves social media especially Facebook. Connect in the cyber world and in real life through your social channels. On average, Australians spend 1 hour and 39 minutes per day using social media (Digital in 2018 Overview). Make active use of your scrolling time and like and follow industry related pages and groups to stay updated with the latest and greatest and forge connections in your industry. Whatever your VET interest is, there is something out there that will cater for you. Our favourites that help us to feel connected are National RTO Network, Australian VET Leaders and RTO - Professional Discussion Group. Velg training run a biannual publication featuring content to Educate, Inspire and Empower. 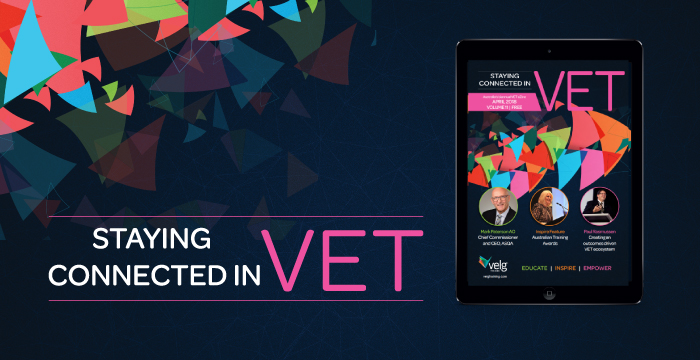 Staying Connected in VET features a range of articles on current happening in the vocational and training industries as well as a look at other relevant topics surrounding VET. The magazine also features a calendar of future industry events, so you can stay updated and mingle with your peers. Discover other great VET resources to feel more connected here. What better way to connect with the VET community then face-to-face. 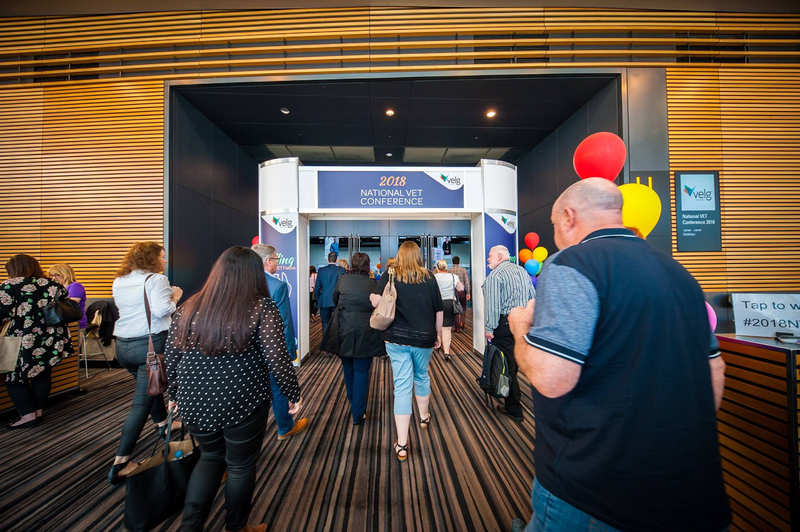 Make plans for the new year and attend conferences to make new connections, catch up with old ones and find out the hottest VET trends and news of the year. You can catch up with the team behind VET:eXpress this year at the National VET Conference. Get even more personal and meet with the team behind your SMS and catch up at client forums and client days. Make deeper connections with those in your local and wider community and get a deeper insight into your system of choice. Whether you are new to the RTO industry or a seasoned veteran, making meaningful connections in VET is an invaluable tool for not only yourself but all of those in the community.